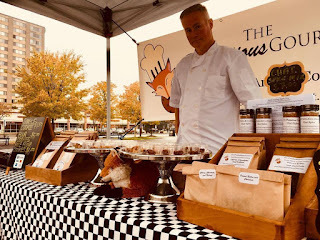 Four Mile Run Farmers and Artisans Market: 4MRMarket Report: Chill with us on Sunday! 4MRMarket Report: Chill with us on Sunday! 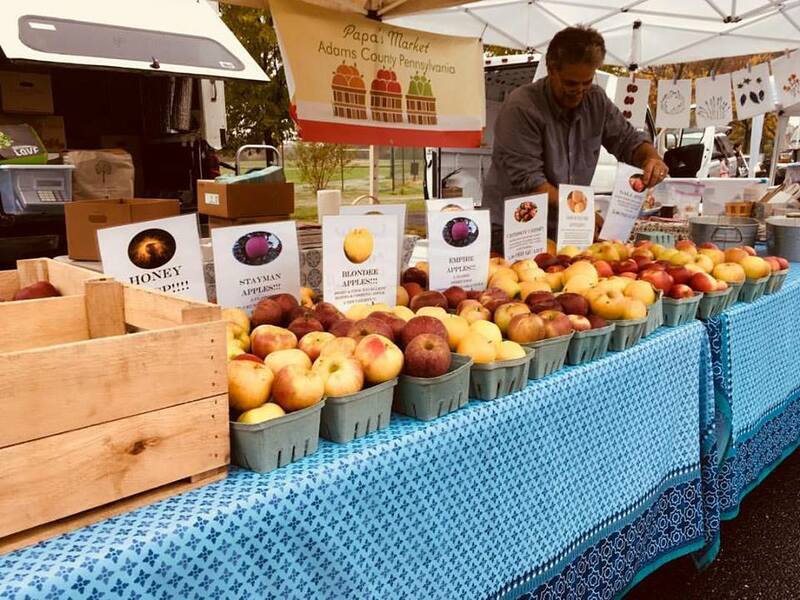 We're welcoming Papa's Orchard from Ortanna, PA the Pretentious Gourmet this Sunday. And we're welcoming back Tom's Amish Cheese Shop! 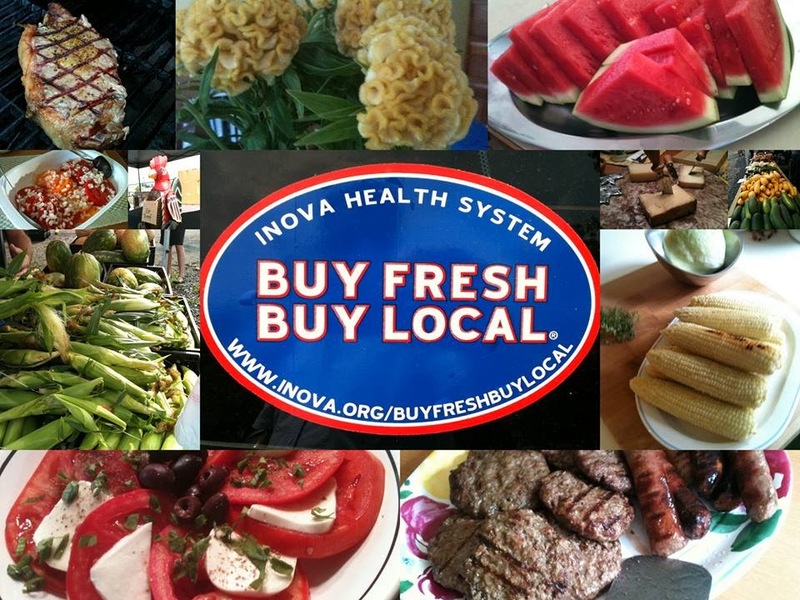 They'll be there along with our wonderful assortment of vendors, like Montoya Farms, Savory 'n Sweet, Sweet Twist of Ecuador, Captain Xan, & Switch Doctor Switchel. Look for us inside the building, if the weather is blustery. Unfortunately, Bagel Uprising will be absent attending to family. The 4MRMarket Stage will welcome a new artist to 4MRMarket: Griffin and the Flying. See them at 10am! 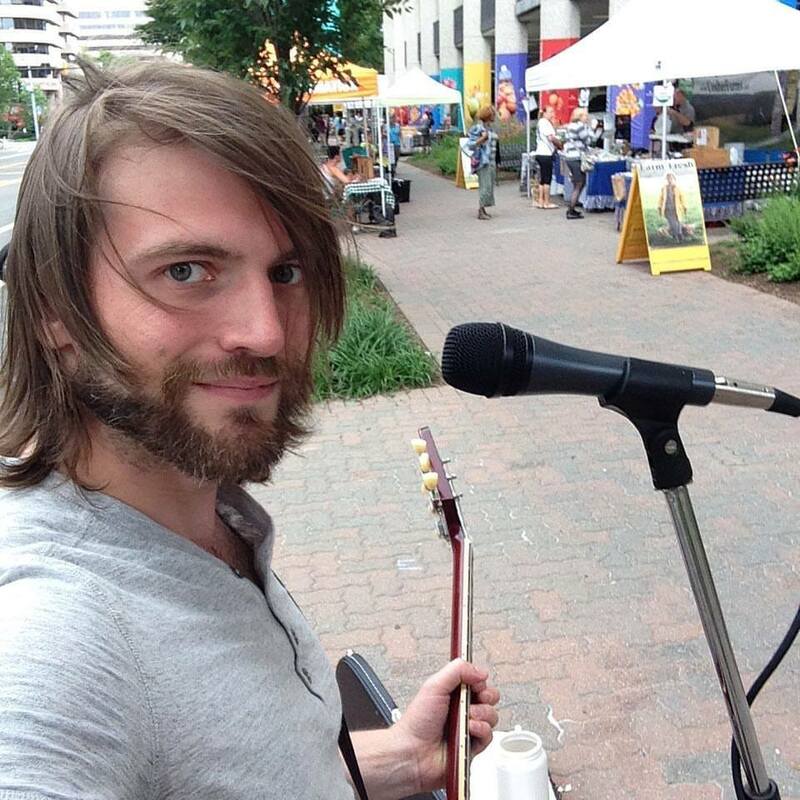 Griffin Oehser has been writing and performing music in DC, Maryland, and Virginia for fifteen years. After playing with various artists, bands, and singers, Griffin discovered what he could do with a loop pedal. 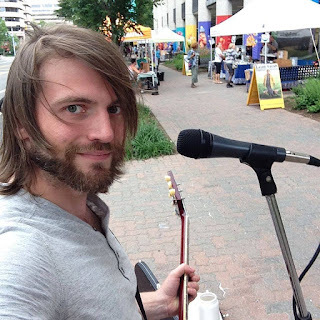 Playing all the percussion, bass, licks, and harmonies with his guitar, The Flying V, Griffin has taken his one-man-show to various clubs and venues and now, as a full time busker, the streets of DC. In six months, his street performing career has become so successful that he was featured in Washingtonian Magazine's 2017 "Best Of" issue.